Head of Bight is recognised as a calving ground and nursery of international significance for the species. The Southern Right Whales come to Head of Bight to give birth in the protected bay each year between Mid May to late October. Females feed and nurture their young in the shallows where they can best protect their young from predators such as their Killer Whale cousins or the Great White Shark. What are the whales doing at the Head of Bight? 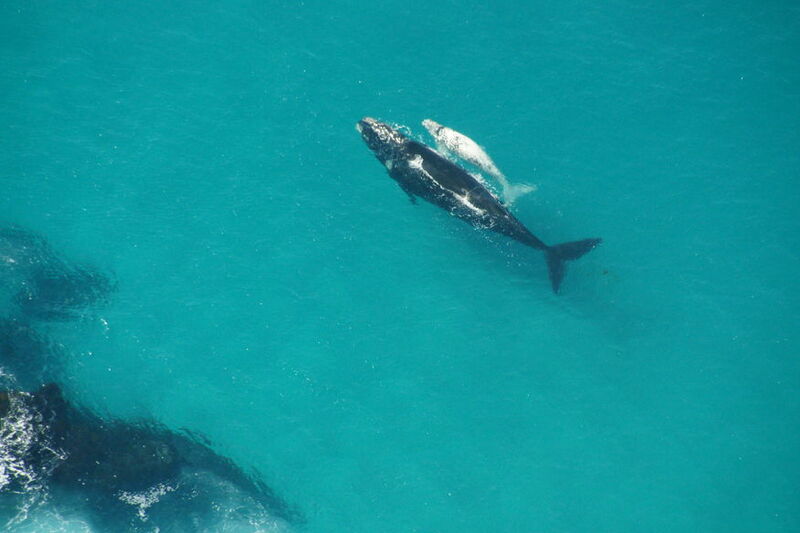 Southern Right Whales visit the Head of Bight each year to give birth, mate and socialise. They arrive in May and depart around October. They spend the rest of the time travelling to or feeding well offshore in the Southern Ocean. In June and July most of the whales you will see are adults. You may be lucky enough to observe these 70 tonne mammals mating (look for groups rolling around on the surface). By late August you can commonly see the mothers swimming along the cliffs with their young calves at their side. 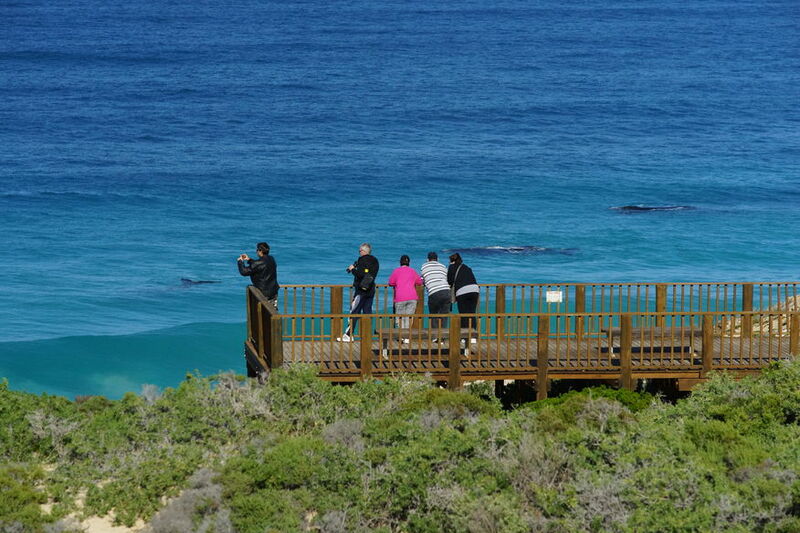 At this time there are often 70 or more whales in the area visible from the platform. By the time the whales leave in October the calves have grown and have become strong enough to join their mothers on the long migration south.